Looks like the emergence of this new bar completes the evolution of what was the old complex of the Embassy Club. First, the Embassy Cafeteria turned into Draft Gastropub. 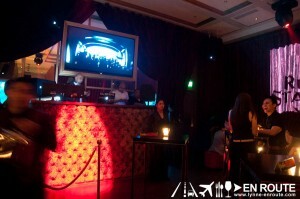 Next, the large Embassy Main Club has turned into Aracama Filipino Cuisine (with hints of some loungey after-10 beats!). 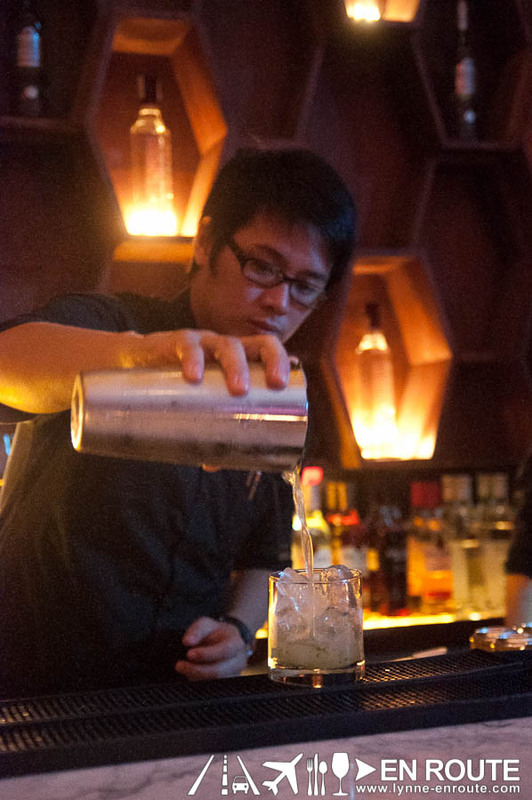 Now, the old Embassy Cuisine Lounge has turned into Manila’s coolest bar to date: Imperial Ice Bar. Why coolest? 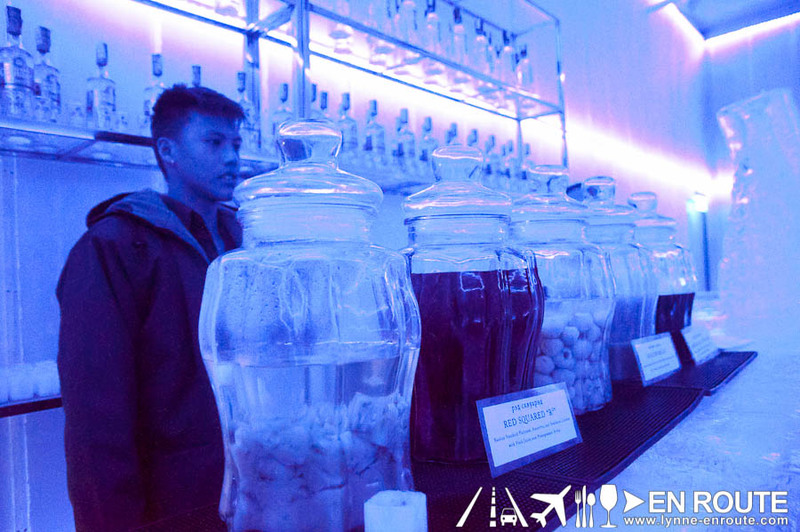 Imperial Ice Bar in Fort Bonifacio is the latest bar in Manila that features an experience of sub-zero Celsius temperatures. More on that in a bit. 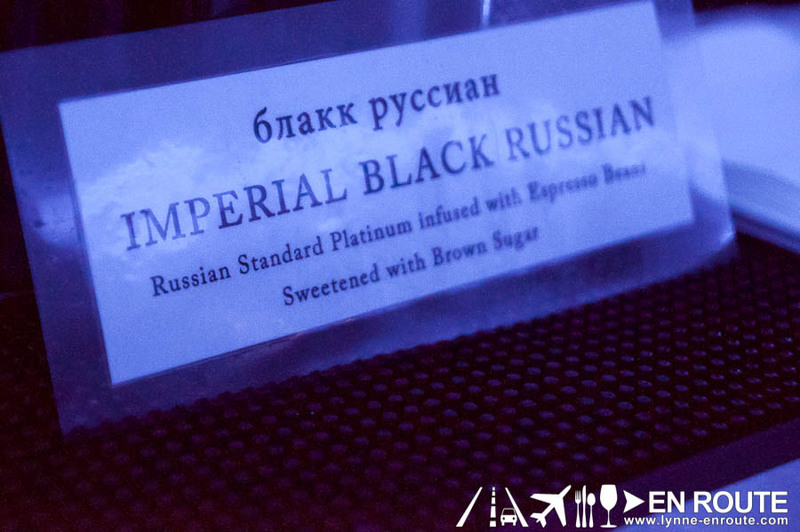 Imperial Ice Bar may seem like your run of the mill, above average bar found in the upscale areas of Manila, but its main theme is focusing on vodka and its many variations of cocktails. Mind you, you can still order other non-vodka drinks like a mojito or your popular Jack-Cola combo. 3 portions gin, one portion vodka, half portion vermouth, shaken and garnished with lemon peel, served in a cocktail glass. Yep. A Vesper was ordered. Tip: Maybe it is best to have this customized somewhere. 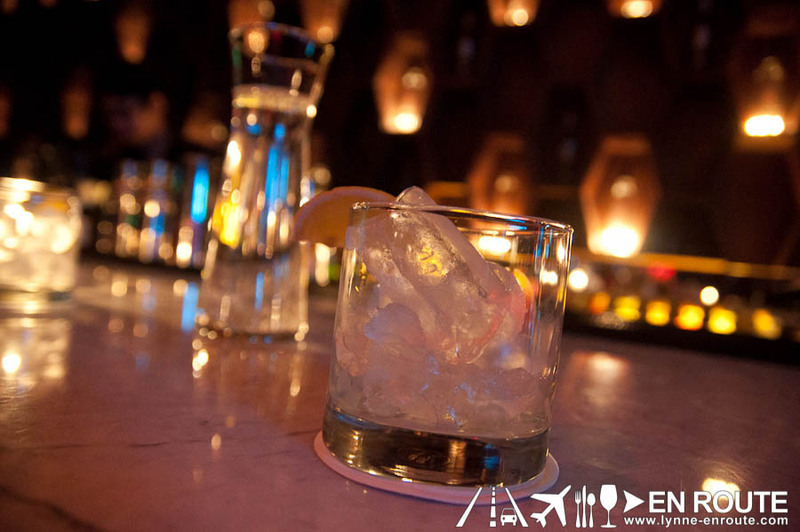 Not because the bartender can’t make it, but with a price of PHP 1,200.00 for this customized cocktail, you may find a better deal when you go to the secretive Blind Pig Speakeasy in Makati. 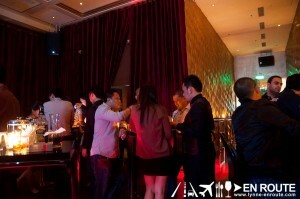 Although it will not have the hip and lively vibe of Imperial. As of this writing, there is no entrance fee into the main bar itself. 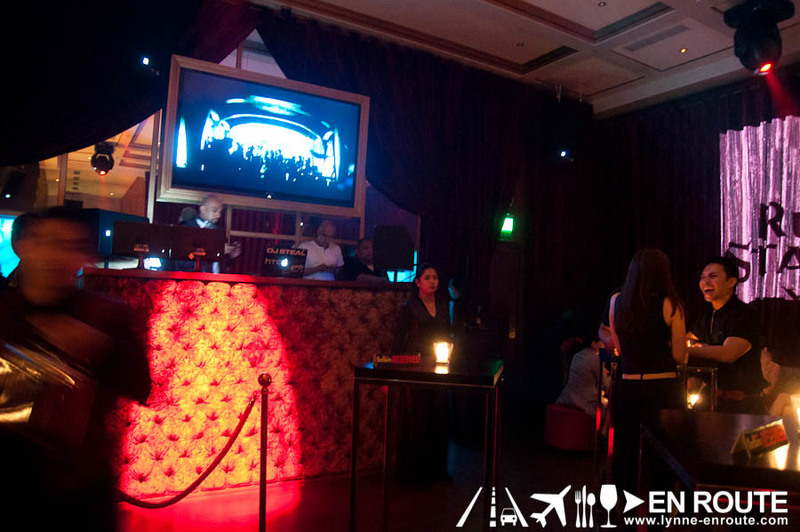 If you want to get a cocktail table, there is a minimum order of one bottle of liquor (which is about PHP 3,000.00 average for a bottle). For a sit-down table, a minimum of two bottles needs to be ordered. But both will already give you free entrance into the Ice Bar. The Ice Bar will pretty much be the coldest publicly accessible bar this side of Manila. Cold is somewhere around Negative 5 Degrees Celsius, which is pretty much how your standard freezer will be, or the cold portions of Russia will feel like. 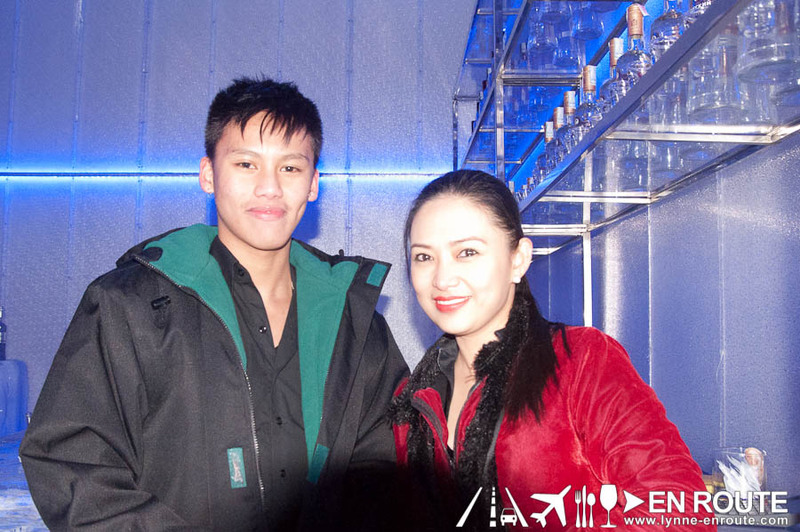 If no bottle was ordered, an entrance fee of PHP 550.00 per head is required for the Ice Bar. This already comes with two shots inside the Ice Bar. 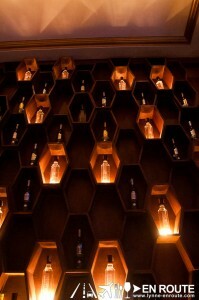 take these shots of liquor when you go in. You will need it. 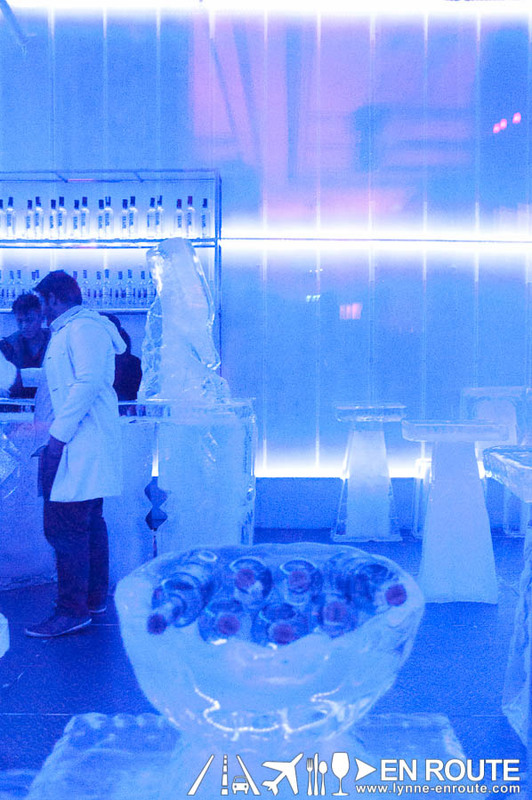 Before entering, you are made to sign a waiver that you are only allowed to stay in the Ice Bar for 20 minutes, and that if you do not abide by these, Imperial will not be liable for any damages the sub zero temperatures will do to your body. Luckily, you are given arctic gear to wear before heading in. Upon entering, the cold hits your face like how an invisible wall made of ice would probably hit you. The chilling sensation initially delivers a novel difference from the heat that is Metro Manila. After a few minutes, though, you might be jumping just to keep yourself warm. It is so cold, that the tables and shelves made of ice stay frozen. 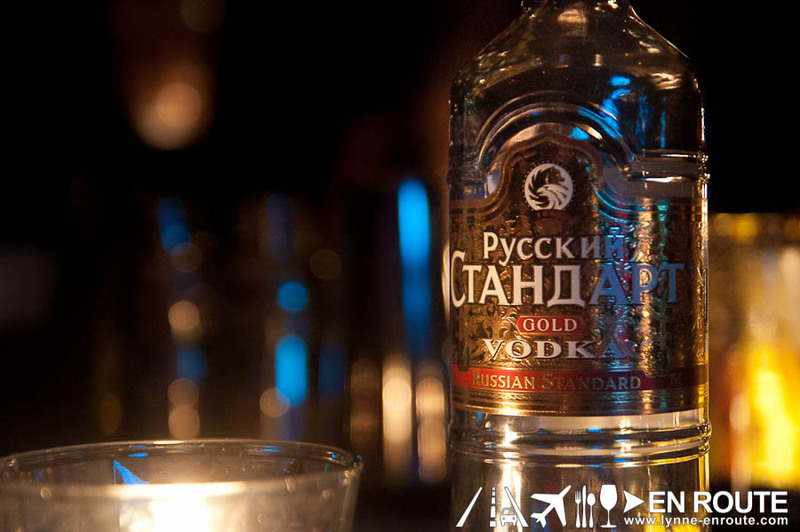 No wonder vodka is a popular drink in Russia. It’s not for recreational purposes. It’s for survival. You will have to give credit to the men and women of Imperial for being able to work in such temperatures. 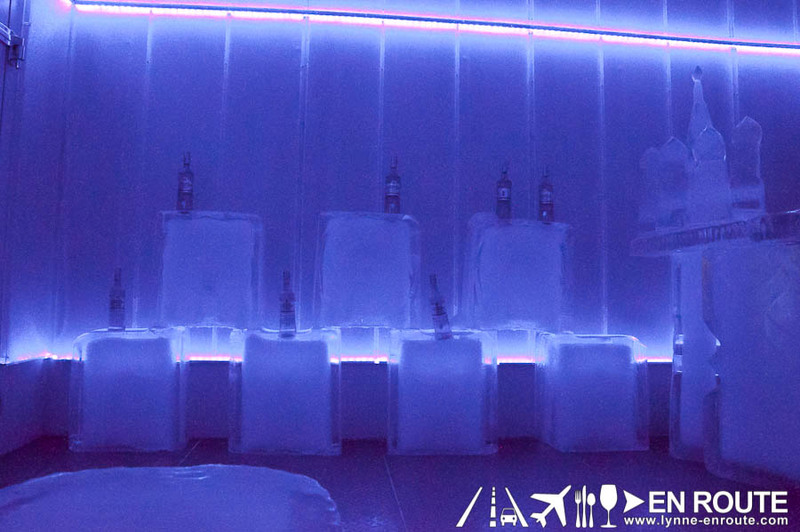 Luckily, shots of some vodka based drinks are available in the Ice Bar. 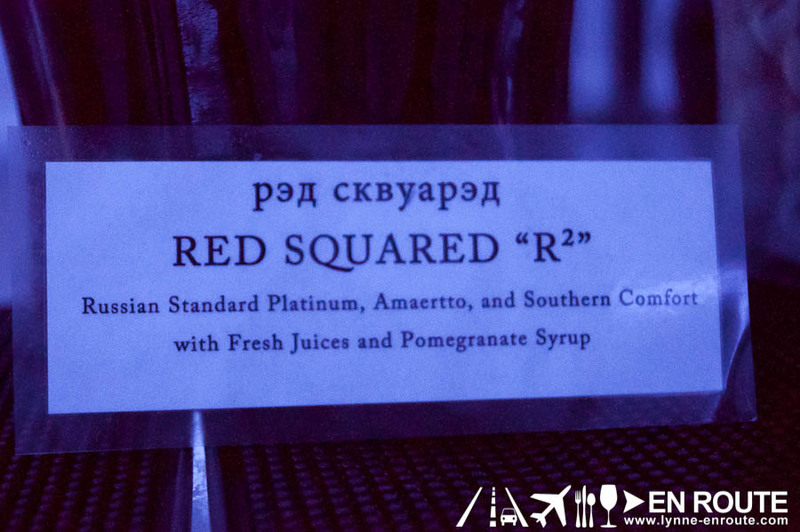 The Red Squared is a fruity-berry tasting shot that will very much be loved by the sweet tasting Filipino palate. 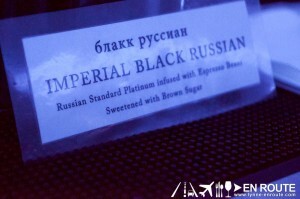 The Imperial Black Russian, with its Espresso and brown sugar taste will wake up the senses and give a slight jolt of warmth. 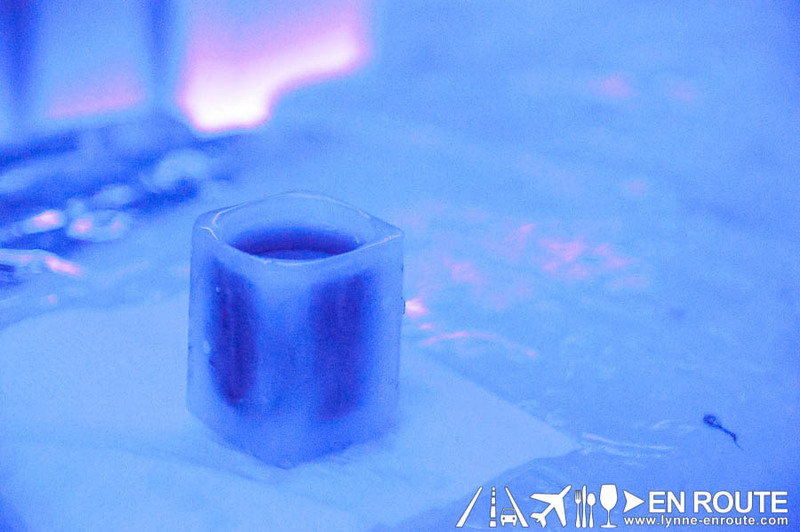 The Ice Bar is so cold that you may find yourself taking in these shots almost in succession in a bid to keep yourself warm. 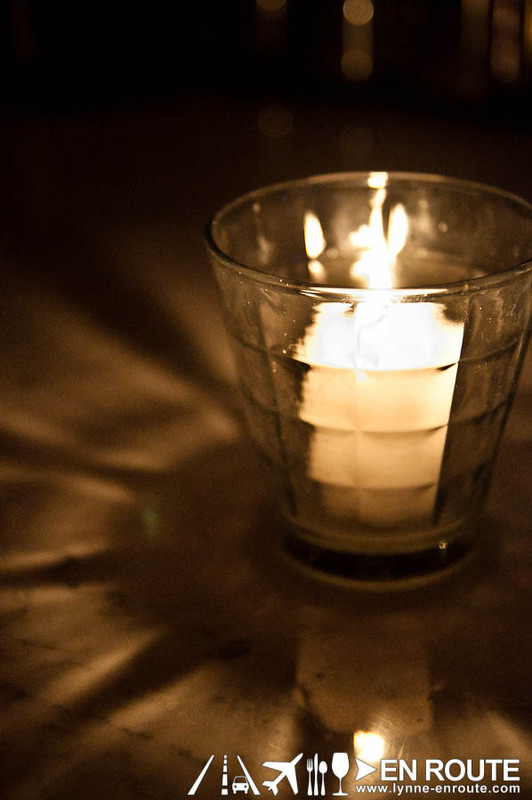 Once you do, you can probably survive a little bit longer as your body shivers to burn off the alcohol and get your system compensating for the frigid environment. 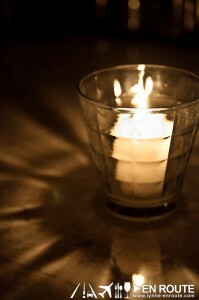 Any feeling of intoxication, though, will still be overwhelmed by the cold. 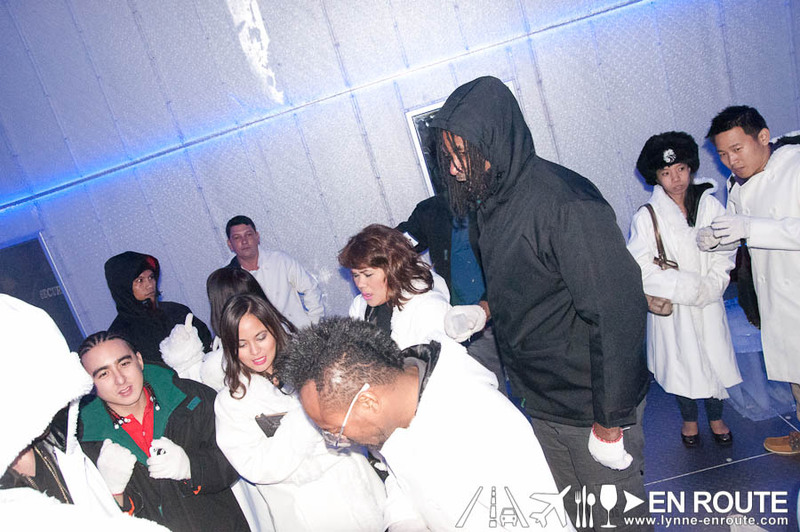 Apl.de.ap of the Black Eyed Peas tries out the Ice Room. You may actually find yourself coming out of the Imperial Ice Bar a changed person, never complaining about the heat of Metro Manila ever again. 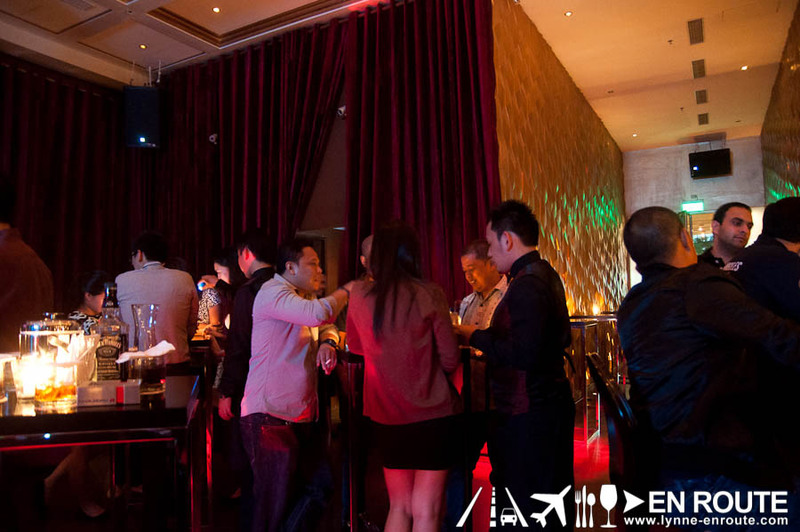 Overall, Imperial Ice Bar is a cool step into lifting the Metro Manila night life scene with its refreshing theme and upscale drinks and clientele. Here’s to more of what Manila has to offer. 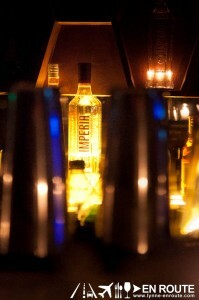 Imperial Ice Bar is located at the Fort Strip, Bonifacio Global City. Tried Impreial Ice Bar already? Think that the Ice Room will be a short lived gimmickry? Place in your comments in the Facebook Comments below. Interesting. There’s one in Antipolo too but I don’t think it was properly executed like Imperial Ice Bar. Really? What’s the name of the place? The one in Antipolo is called Zero Ice bar, or something close to it. But a friend who went there says it’s not really worth the trip. 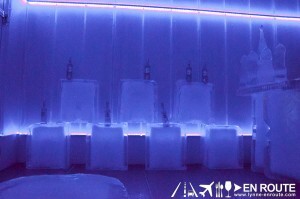 The so-called “ice bar” is jsut a small table and chair made of ice, surrounded with a few ice sculptures. 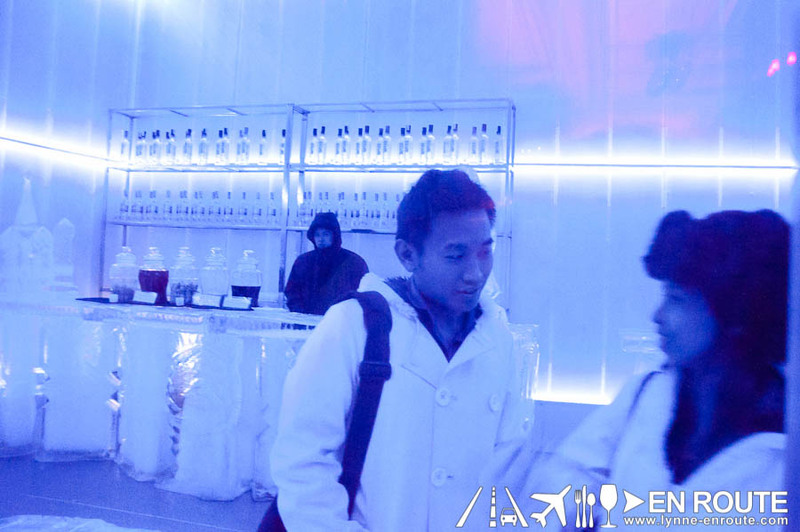 Anyway, here in Imperial Ice Bar – can you take home the vodka bottle you bought in lieu of the entrance fee or are you expected to either finish it off or leave the half-finished bottle behind? What bars normally do now is that you have the bottle stored there under your name, so that when you return, you ask it from the waiter so they bring it out again 🙂 The storage will only be for a duration of one month, though.